In 1960s Hong Kong, Chow Mo Wan and Su Li Zhen become new neighbors when they both rent rooms next to each other on the same day. They maintain a friendly and cordial relationship as they frequently cross paths, especially because their respective spouses are often away for work. When they discover and confide in each other their suspicions that their own spouse is cheating with the other’s, Chow and Su develop a relationship of their own that is marked by mutual companionship and unspoken feelings of restrained love. Have you ever wanted to be swept away by a dream? The hazy quality that makes surroundings and events feel both real and unreal. The beauty that seems otherwordly. While sustainable dreams are hard to come by in real life, the next closest thing we can turn to are Wong Kar-wai films. The revered and celebrated director films some of the most visually gorgeous movies that have equally beautiful and resonating stories. 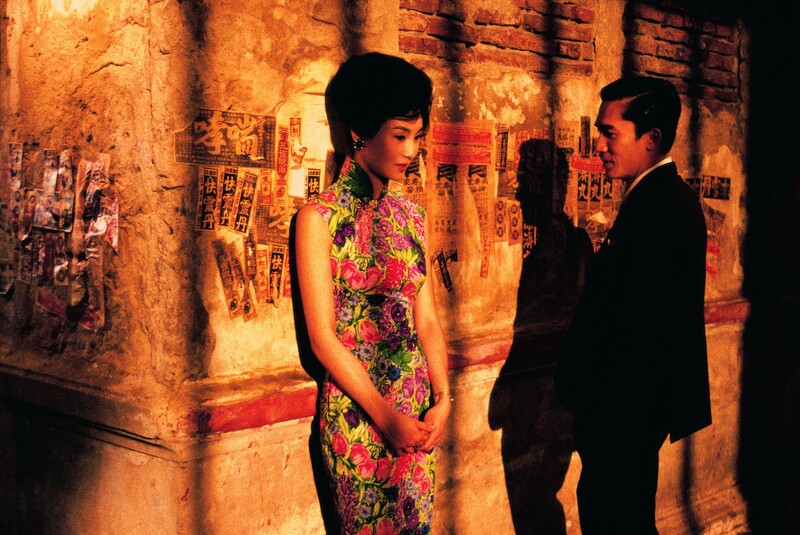 Look no further than the 2000 film, In the Mood for Love, as the best example of dreamy escapism. Wong and the movie teaches us that even if we aren’t allowed to live in a dreamland forever, we’ll at least have the memories of it. The simplicity of the movie’s plot is elevated to the sublime because of how well the actors and director are at the art of restraint. The story could have easily ended up being about how these two scorned people begin their own adulterous relationship in response to their spouses’ adulterous relationship. Instead, Wong Kar-wai allows his characters to remain hindered by their values and reservedness to ever act upon their initial anger at betrayal. Likewise, Tony Leung and Maggie Cheung both exercise restraint with their respective characters, which results in each glance and moment of hesitation carrying much more weight than if they were to cry hysterically or kiss passionately. It is precisely because there is so much restraint in the story and acting that it gives the viewer anticipation and hope that it’s all building up to something epic between these two people. The movie slowly and continuously builds upon the emotions, but it’s debatable if it ever resolves them. For those who want a movie with a clear beginning, middle, and end, In the Mood for Love may be extremely frustrating to watch. As I mentioned, the movie teases the audience with how much promise there can be between Mr. Chow and Mrs. Chan, but it never allows them or the story to, literally or figuratively, “go for it.” At one point, Maggie Cheung’s character even tells Tony Leung’s that they will never do what their cheating spouses did. I actually prefer that the characters abide by that sentiment because their story never really felt like one about romantic love. Instead, I saw Mr. Chow and Mrs. Chan more as kindred spirits who found each other when loneliness was their only companion. It’s even unclear if they would have enough mutual love for each other to sustain an actual relationship or if they only have their cheating spouses to link them together. The cinematography for In the Mood for Love further makes watching this movie a bonafide experience because of just how assured and revelatory it is. Each scene’s visual impact is highlighted by the use of saturated jewel toned colors, especially the color red. The way the camera slowly, almost painstakingly so, moves around the crowded apartment building, empty hotel hallways, or narrow street corridors shows just how lonely these characters are even when they’re surrounded. Similarly, the careful camera zoom ins and outs of scenes between Mr. Chow and Mrs. Chan lets the viewers feel as if they’re privy to some secret conversation that they aren’t supposed to be listening to. The costumes that the characters wear, especially Maggie Cheung’s cheongsam dresses, are so couture-like and beautiful that the dreamy quality of the film is further heightened. Coupled with romantically haunting melodies that serve as the backdrop, and it becomes perhaps even more fantasy than dream. 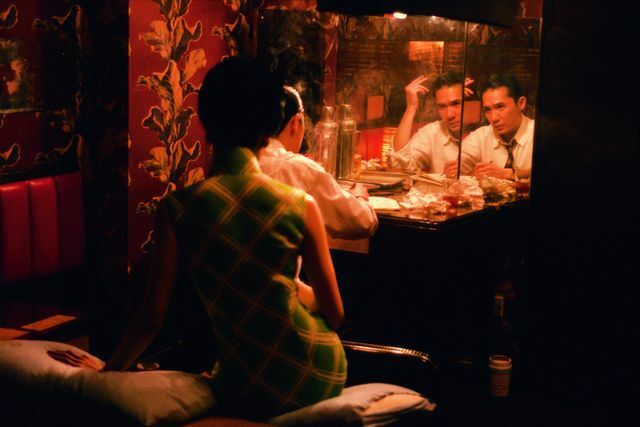 Watching In the Mood for Love is like a brief recess from modern life, and it becomes a momentary transportation to a different world where the people and their stories seem extraordinary amongst the mundane. The unspoken feelings and words between the characters allow the tension to exist just below the surface, continuously simmering for the duration of their interactions and long after. 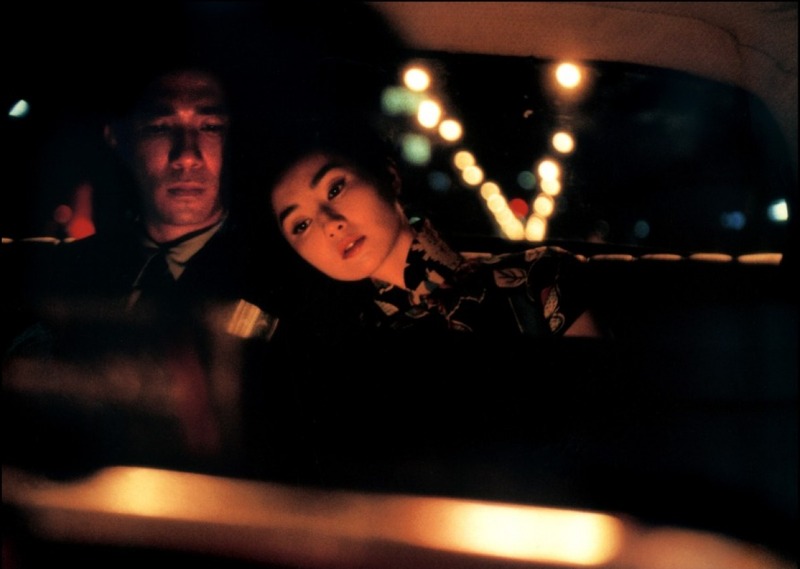 When you do awake from this dream, do yourself a favor and watch In the Mood for Love again. 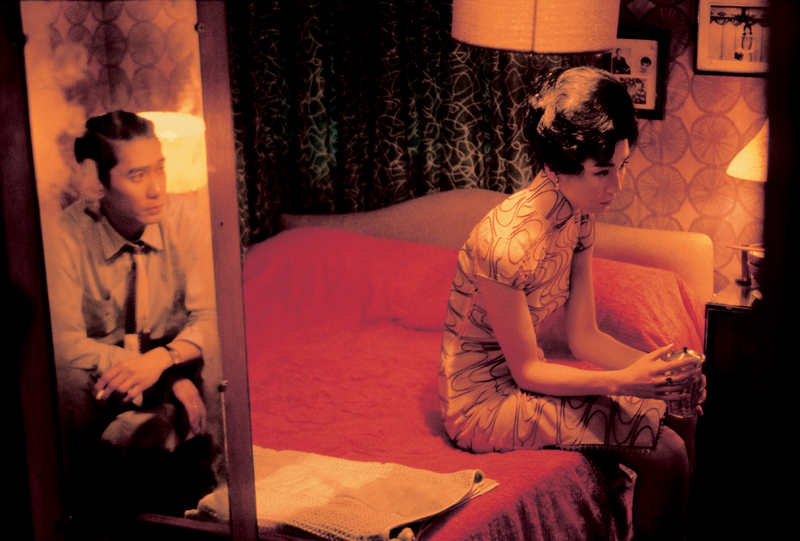 In the Mood for Love is part of an informal trilogy that includes the films: Days of Being Wild (1999) and 2046 (2004). Maggie Cheung stars alongside Leslie Cheung in Days of Being Wild. Tony Leung reprises his role of Chow Mo Wan in 2046, while Maggie’s character only appears in flashbacks. The film was nominated for 12 awards at the 2001 Hong Kong Film Awards and won 5, including: Best Actor for Leung and Best Actress for Cheung. It was nominated for 3 awards at the 2000 Cannes Film Festival, including the Palme d’Or (highest prize). Leung won the Best Actor award. 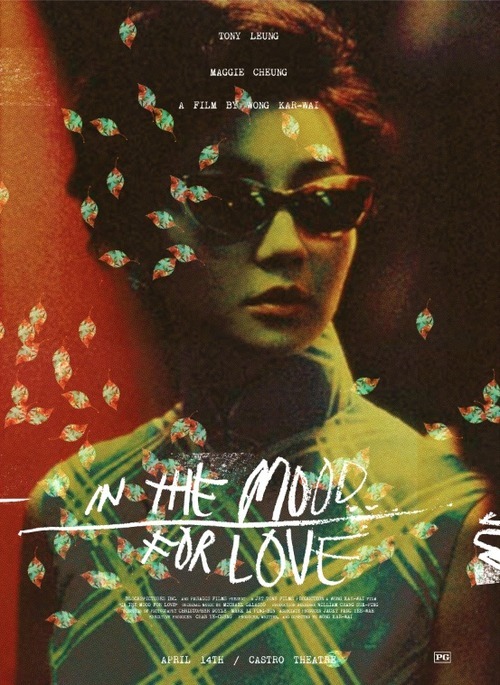 In the Mood for Love has a 90% approval rating on Rotten Tomatoes, out of 119 reviews. Director Sofia Coppola thanked Wong Kar-wai (amongst other directors) in her 2003 Oscars acceptance speech for Best Original Screenplay for the film, Lost in Translation. She credits In the Mood for Love as her biggest inspiration for writing the film that stars Bill Murray and Scarlett Johansson. Maggie Cheung and Tony Leung both starred in the 2002 wuxia film, Hero, directed by Zhang Yimou. Tony Leung most recently appeared in the critically acclaimed 2013 martial arts film, The Grandmaster, as Ip Man. The film was also directed and written by Wong Kar-wai.